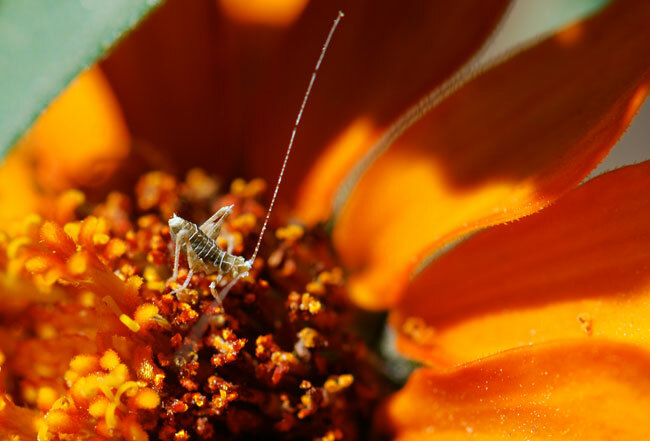 Remember the little brown katydid from two weeks ago? There is now a slightly larger green katydid on the zinnias. Is it the same katydid? Of course I have no way of knowing for sure. 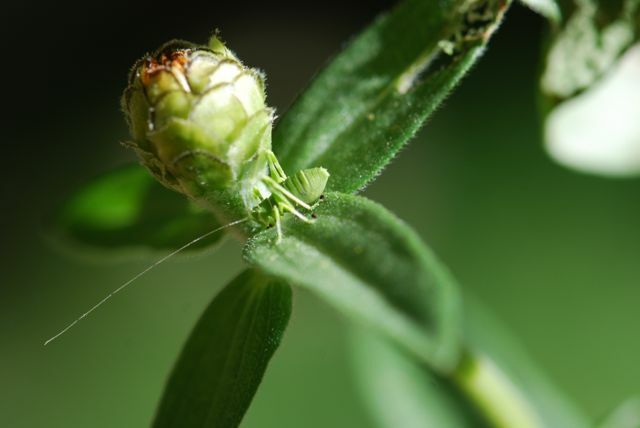 Insects do molt their exoskeletons in order to grow, and it is possible that some katydids change color when they molt. It apparently is the same species, at least. When teaching about insect metamorphosis, one easy way to have children to act out molting is to put a large shirt on the child backwards (the insect's exoskeleton usually splits down the back). Don't button the shirt, but overlap the sides so it lays down in the back. Ask the child to get out of the shirt, or molt, without using their hands. Most children learn pretty quickly how to wiggle and squirm their way out, but it does give them an impression of how complicated it is for the insect. Have you ever seen an insect molt? I love this! When I was a kid I loved collecting the dragonfly molts I would find by the river behind my house. Also the occasional cicada molt. Great discovery! Yes, dragonfly and cicada molted exoskeletons are great finds.